Discount Garage Door Repair is your source for the highest quality garage doors in Frisco, TX. Choose from specialty doors such as glass, steel, vinyl, composite, and simulated wood to give your home a richer appearance. Also available are traditional-style garage doors that serve the purpose of securing your garage and the vehicles inside of it. A good deal of the time a faulty garage door can be repaired; however, if the damage is extensive, we recommend garage door replacement. When it's necessary to replace your garage door, you want skilled technicians to do the job. We will install the new garage door that you choose. Modern garage doors have come a long way from the standard wooden or metal styles. From stylish windows to durable screens and much more, there are a lot of options available for your door. Using the proper tools and equipment, we make sure that all of the door's parts are correctly installed and that they work effectively. All work is done in a precise and timely manner to make sure that you are completely satisfied. When the installation is complete, you have a fully functional garage door that will last for years. Because we're full-service garage door technicians, we offer garage door repairs, too. If your overhead door ever becomes defective, we will make it operate like new again. 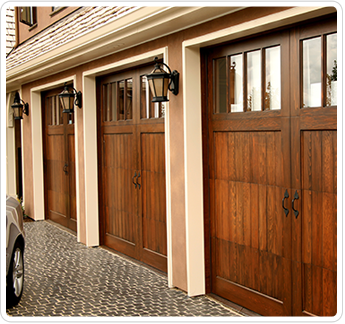 Contact us for garage doors that add curb appeal to your residence. We proudly serve Frisco, Plano, Mckinney, The Colony, Prosper, Aubrey, Lewisville, Little Elm, and Allen, TX and the surrounding areas.